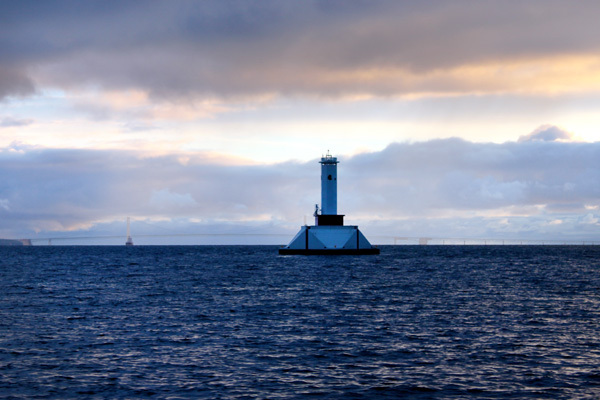 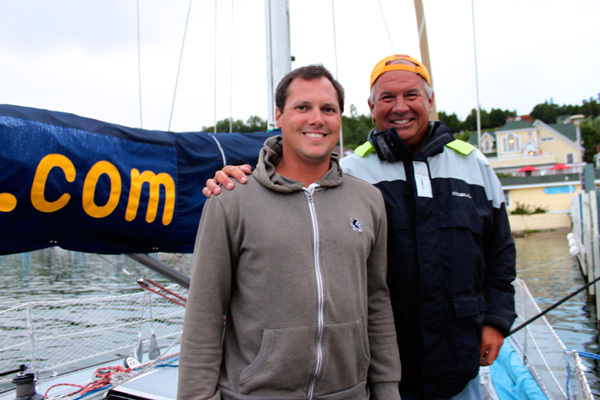 One of the highlights of our trip to Mackinac Island was a sunset sail around the straights of Mackinac. 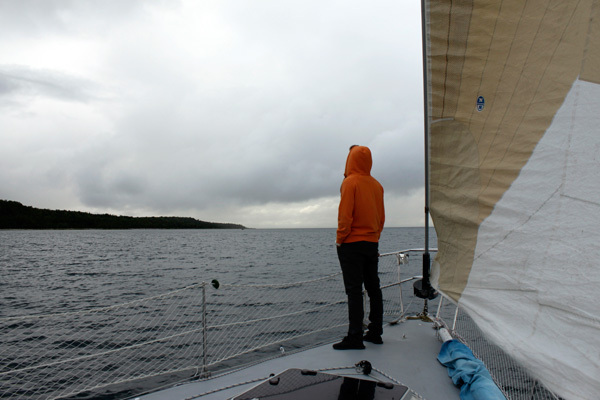 Chartered by Captain Dave and first-mate Mark, our sailing adventure took us across choppy waters during a light misty rain. 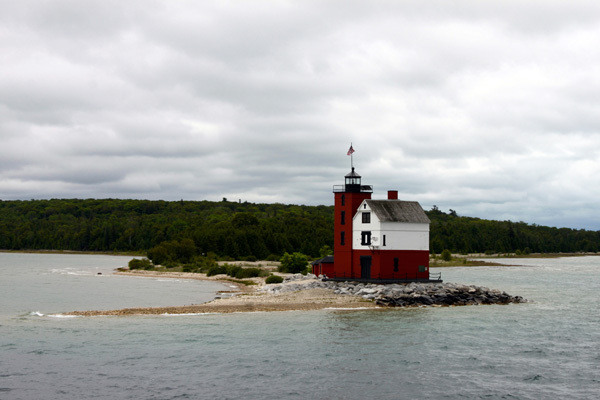 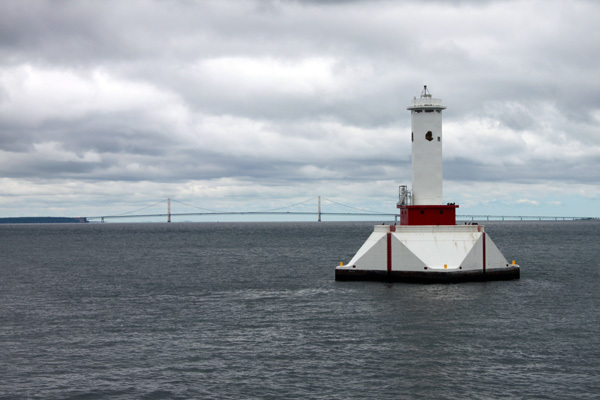 Admittedly, the weather wasn’t completely agreeable, but we all enjoyed the fresh lake air, closeup views of the lighthouses, and fantastic company. 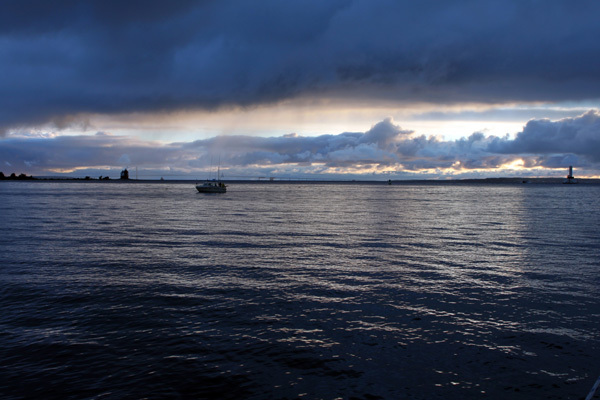 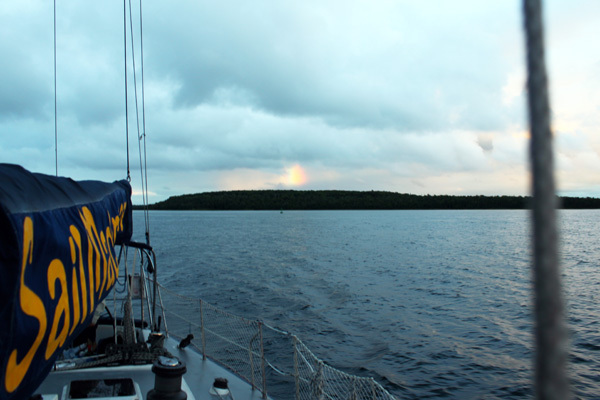 The cloudy weather also provided us with a lovely blue sunset and we even saw a rainbow! 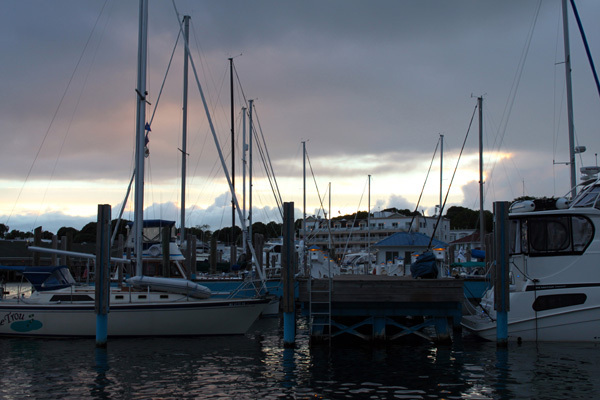 Sailing was a wonderful way to spend an evening on Mackinac Island and we all highly recommend the experience if you have a chance to visit!